Design work for the replacement of the MGA started in the late 1950’s under the direction of Syd Enever and was completed by early 1961, the car styled by Don Hayter was influenced by EX 181. To be successful the car to be known as the MGB had to succeed in America, a monocoque construction was used and the car was to incorporate some refinements over the MGA such as wind-up windows. The first production car was completed on the 22nd May 1962 a LHD roadster, chassis number G-HN3 -102 with an his blue RHD car, chassis number G-HN3 -101 being completed a few days later. The car was launched to the British public at the Earls Court motor show in September 1962 and was priced at £690 plus £259 purchase tax. The first major change came in the 1965/7 period with the introduction of an all syncro gearbox, five bearing crank engine and a Salisbury rear axle, however the most significant change was the addition of a GT to the range. This had been styled at the Abingdon design office but then sent to Pininfarina in Italy who made only detailed changes. The result was a car which at launch was described by Autocar as “perhaps the prettiest Sports Coupe’ ever to leave the BMC drawing boards. Another major development to the car during its production life came in 1975 and was brought about by American safety regulations related to impact resistance this was directly responsible for the introduction of rubber bumpers and raising the ride height. Over the coming years American emission rules would also result in an engine which for this market produced significantly less power. During the life of the MGB only two special editions were produced firstly the jubilee cars produced in 1975 with a build of 750 cars all GT’s finished in BRG, then finally MG announced that the last 1000 cars produced before the factory closed in October 1980 would be a “Limited Edition” the final car being a Pewter GT, chassis number G-HD5-523002. One other special car of note was produced in 1977 when MG celebrated the queens silver jubilee by producing a one off blue and silver GT which was auctioned for charity. 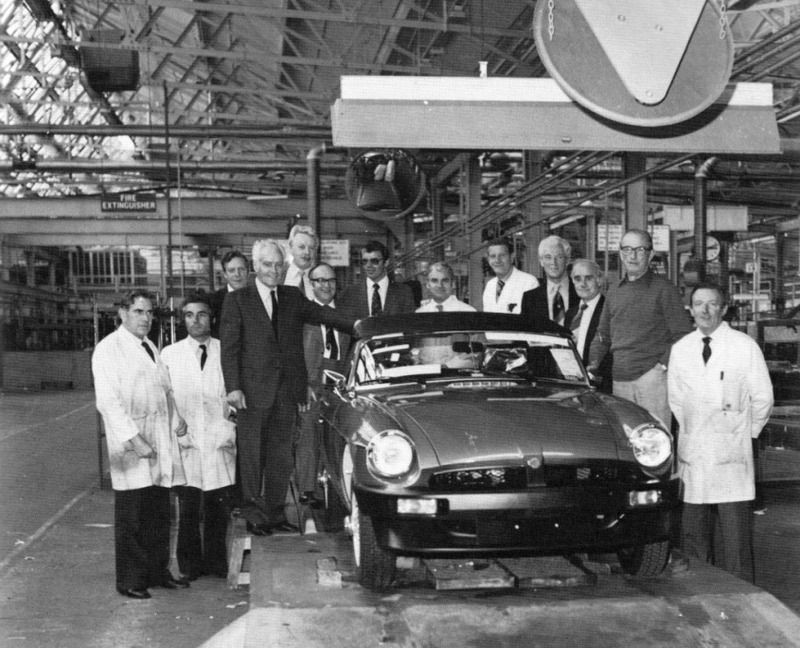 The final chapter of the MGB however was to be written when following the closure of the factory a consortium headed by Aston Martin tried to purchase the MG name and went as far as producing a roadster based on the GT bodyshell (a concept used 12 years later by Rover in the RV8) however financial problems prevented the car going into production.